Laborfileme.com is a kind of adware which will always popping up and display the fake update information to trick you into installing the software it provided. If you agree and click the " INSTALL" or "DOWNLOAD", you will allow more other malware or virus to your computer. It can affect all common browsers such as Internet Explorer, Firefox and Google Chrome and display a number of pop-ups that can disturb your online activities. Have you ever encounter this kind of situation? If so, your computer is probably infected with a browser hijacker. It is suggested to remove it as soon as possible. Please keep reading, and you can get effective solutions to remove the browser hijacker. Shopper-Z is classified as a type of adware which is capable to display coupons for sites you are visiting and competitive prices when you are viewing product pages at popular sites. It sounds like a useful service, However, it is intrusive and bring you numerous unstoppable ads on your web page whether you like them or not. You may notice that Shopper-Z shows you in various forms of “Powered by Shopper-z”, “Brought to you by Shopper-z”, “Ads by Shopper-z” and so on. You need to pay more attention when you are surfing online. Crypt0L0cker is classified as a ransomware which appears to be a direct descendant of TorrentLocker. Like other ransomware, it is able to encrypt certain files on your computer and demand payment before you can gain access to your own files. Unlike other versions of encryption type ransomware, Crypt0L0cker excludes several files with specific extensions. This includes avi, wav, mp3, gif, ico, png, bmp, txt, html, inf, manigest, url, dll, exe, and others. It often infiltrates your computer using infected email message attachments. Once infected, this ransomware will disable any security function running on the target computer and then display messages of what it has done to your files. If you see the advertisements underlined by "Ads by GoodDeals " whenever you open your Internet Explorer, Google chrome or Mozilla Firefox, it is likely that your computer is infected with GoodDeals adware. It usually adds to your browsers in the form of browser extension, which claims to enhance your online experience. It may sound like a good choice, However, it can generate lots of intrusive ads in the form of deals, coupons, pop-ups, banners, etc. That would be really annoyed. Ads by Hades are generated by adware on your PC which is able to constantly display a lots of ads, offers, and pop-ups that really interrupt your online activities. The Hades adware may appear as a Browser Helper Object, an add-on, a plugin and a browser extension that have been recently installed. You need to notice that It often show you in the form of “Ads by Hades”, “Powered by Hades”, “Brought by Hades” and etc. So you should be careful when you notice this kind of ads. Attacked by Trojan: JS/Iframe.DM? - How to Remove It From Computer? Trojan: JS/Iframe.DM is categorized as a Trojan horse which can get into your computer without any knowledge and consent. It usually takes advantage of your system vulnerabilities to get into your computer to conduct a series of damaging activities to mess up your computer operating system and cause many other problems on your infected computer. You should know that it may lurk in some spam email attachments, torrents and freeware program. Besides, it may sneak into your computer when you click some suspicious links and pop-ups, your computer is likely to be infected with the Trojan horse. Have you ever seen this message on your web page? Debug malware error 895-system 32.exe failure. Please contact microsoft technicians to rectify the issue. If so, your computer is likely to be infected with Global-technical-solutionz.net. You are suggested to remove it from your computer before it causes further damage. Please keep reading the post below, and you will get effective solutions. Delete Thefileny.com Completely From Your PC - How? Usually, it comes bundled with free programs. Open some spam emails and attachments. Click malicious links and suspicious ads. Thefileny.com can be considered as a type of adware which attempts to affect your browsing experience by generating Internet traffic for its malicious domain and delivers fake update information that recommend you to update to the latest version of new player. However, the recommended update is probably related to some kind of potentially unwanted programs even malware or viruses. Are you annoying by 332ubpx.com pop-up ads? Is your browser keep redirecting to 332ubpx.com? Are you recommended to download media player? If you have encounter the same problems above, you may unfortunately be infected with 332ubpx.com. Keep reading the post below and you will get a effective removal guide. 332ubpx.com pop-ups are generated by adware that can intrude into the targeted computer without any permission. It is generated by cyber hackers to gain profits by promoting unwanted service or programs such as fake software update and distributing malware. 332ubpx.com can often change your browser homepage to its own domain automatically. So whenever you open a new tab, 332ubpx.com will appear on your browser. BrowserAShop is a type of nasty and stubborn adware which is created to gain revenue from per-clicking ads. It seems to help you to save money from daily shopping, However, it is able to affect all your common browsers include Internet Explorer, Google Chrome, Mozilla Firefox and deliver lots of pop-up ads on your screen whether you want or not. It is not so good and helpful as it states, if you keep it in your computer, it will expose your system to certain threats. Are you annoying by lots of pop-up from Important-update.info? Are you always misled to some unknown website? Are you looking for effective ways to stop Important-update.info pop-ups? If you are suffering the same problems, please keep reading the post below, and you will get an effective removal instruction to get rid of Important-update.info from your PC. Important-update.info often shows you a page that deliver you the message about the problems of your computer. It usually claims that your PC has been infected by some viruses and you need to call the number it provided to fix your computer. It seems like a formal message due to the information seems from Microsoft Essentials, however Important-update.info is a dirty adware; you should never be taken in. All the pop-ups by important-update.info are totally traps for distributing commercial ads or potential unwanted programs. Hijacked by MusixLib Start? - How to Get Rid of MusixLib Start From Your PC? MusixLib Start is classified as a browser hijacker which is able to affect all the common browsers Including Google Chrome, Internet Explorer and Mozilla Firefox and change your browser setting and homepage without your any consent. This search engine looks like helpful that can help you access the Youtube, Twitter, facebook and so on. However, once you search on it or click to search, you will be misled to online video, games and other unwanted programs. Thus, it is suggested to remove MusixLib Start as soon as possible. Completely Remove Ads by Kikblaster From Your PC - How? Ads by Kikblaster is a kind of intrusive adware program which is developed to generate traffic and gain money for all the affiliate websites of its creators. It looks like a useful service, however, it can display various commercials ads on the page that you visit. It often show you in the form of “Ads by Kikblaster”, “Powered by Kikblaster”, “Brought by Kikblaster” and etc. You should be careful when you browsing online and notice these ads. Liveupgrade.videoupdatelive.com pop-ups appear when your computer infected by adware. It is really nasty that will trick inexperienced computer users into downloading malware infections. In details, Liveupgrade.videoupdatelive.com usually pop up the message that “Your version of Flash player might be outdated”, and recommend you to click the “Download” or “ Installed” button. Please do ignore the update information from Liveupgrade.videoupdatelive.com, otherwise, you will agree to download other malicious programs on your computer. Newsoftwrme.com can be regarded as a type of adware which is developed by cyber hackers to gain profits by promoting unwanted service or programs such as fake software update and distributing malware. Newsoftwrme.com can often change your browser homepage to its own domain automatically. So whenever you open a new tab, Newsoftwrme.com will appear on your browser without asking your permission. On the page of Newsoftwrme.com, you get the pop-up providing the fake information that recommend you to update the new version media player. You should never trust it, otherwise, you may installed other potentially unwanted programs or even malware and viruses without your consent. Besides, It can degrade your overall computer performance. It is really a bad choice to keep it in your computer. Labels: remove Newsoftwrme.com; delete adware; stop pop-ups. CrazyLowPrice is a suspicious program which claims to help computer users instantly save time and money while they shopping online. However, you must know that it will not do anything like that. It is a type of adware that is able to generate many ads including price comparisons, deals, coupons, in-text, , banner ads, pop-ups, etc. You should never trust it, otherwise, you will encounter lots of troubles. It can access your computer without any permission. It will display numerous unstoppable ads whether you like them or not. It may mislead you to unsafe websites or webpage if you click on ads. It can monitor and record your online histories and distribute other suspicious links and ads. It can degrade your computer performance. It can put your sensitive information at risk. Have you ever encountered this kind of symptoms? Lots of pop-ups display on your web page constantly and can’t be closed. You are always redirected to various wrong websites. Your computer performs slower and slower. You may installed other potentially unwanted programs without any awareness. If you see the advertisements underlined by "Ads by ClearNiceBrowse" whenever you open your Internet Explorer, Google chrome or Mozilla Firefox, it is likely that your computer is infected with ClearNiceBrowse adware or potentially unwanted program. It usually adds to your browsers as a kind of browser extension, which claims to enhance your online experience or improve your PC performance. It may sound like a good choice, However, it can generate lots of intrusive ads in the form of deals, coupons, pop-ups, banners, etc. That would be really annoyed. When you start to notice pop-ups from dllfilergo.com? Lots of pop-ups from dllfilergo.com display on your browser that cheat you to install or update the fake media player. Numerous malicious programs are running in the background without your consent. Browser is easier to be crashing. You cannot stop the pop-ups completely due to they can come back quickly. What is ads by Portal? Is it safe? If you see ads underlined by “Ads by Portal” in your browsers like nternet Explorer, Google Chrome or Mozilla Firefox, your computer is probably infected with Portal adware. Portal is able to display lots of pop-up ads on your browsers. These ads are mainly in form of “Ads by Portal”, “Ad by Portal”, “Powered by Portal” or “Brought by Portal”, etc. And these ads are usually based on keywords related to the websites you are visiting. Portal usually gets into your computer bundled with some free download and spam email attachments. Besides, if you visit some suspicious website or click some malicious links and fake pop-ups, your PC is probably infected with the adware. Labels: remove ads by Portal; delete adware; stop pop-up ads. Lookout Deals can be classified as a type of adware which is capable to display underlined advertisements on the web pages that you visit. These pop-up ads often show you in the form of boxes filled with coupons, pop-ups, sound or video advertisements and similar content. It looks like a useful tool that improve your experience of online shopping. Howevre, it is developed to gain profits by generate clicks. To achieve it, Lookout Deals will distribute lots of unwanted pop-up ads on your browsers. In general, Lookout Deals gets onto your PC when user read any mail attachments, junk mails goes through any malevolent websites, download stuffs from contaminated web pages without any safety, etc. You should be careful with your online activities. How to Remove Readyset.theonlinelive.com Step by Step From Computer? Readyset.theonlinelive.com can be considered as an adware which is designed to cheat computer users to download malicious programs. It often pop up the page with message that recommend you to install the new Flash Player. However, you should never trust this fake message. It only wants to cheatyou to install malware/viruses so that it can take full control of your system. Clickater.com can be considered as a browser redirect which is able to change your homepage and settings of browsers including Internet Explorer, Mozilla Firefox and Google Chrome. And then display lot of pop-up ads to interrupt you web browsing online. For most of cases, Clickater.com gets into the computer secretly together with free programs, spam email/email attachments and other suspicious ways. You should be careful with your online activities. Lp.awesome-downloads.com is a fake video player install notification that can be classified as an adware. It can insert ads codes and display lot of pop-ups ads on the browsers such as Internet Explorer, Mozilla Firefox and Google Chrome. When you download some freeware or shareware from some unsafe websites, open some unknown spam emails/email attachment or click some suspicious links and pop-ups, the adware may take the chance to slip into your system. YouAppSoft.com can be regarded as an adware which can bring lots of ads to your browsers such as Internet Explorer, Google Chrome or Mozilla Firefox that disturb your online activities. Whenever you open your browser, those ads will appear constantly whether you like or not. In general, like other adware, YouAppSoft.com can get into your computer when you download some freeware or shareware from unsafe source, open some unknown spam emails/email attachment, click some suspicious links and pop-ups and visit some unsafe or even malicious websites. Bestupdate.eu is regarded as an ad-supported program which is capable to pop up unstoppable ads and sponsored links on your browsers such as Google Chrome, Mozilla Firefox and Internet Explore. It often disguise itself as an extension or plugin on your browsers, so most users cannot realize where it is. In generous, It gets into the target computer when you download some freeware or shareware from some unsafe websites, open some unknown spam emails/email attachment and visit some unsafe or even malicious websites. You should be careful with your online activities. Virus-scanner3.biz is considered as a browser redirect which is able to change your settingsof all common browsers such as Internet Explorer, Mozilla Firefox and Google Chrome and often redirect you to other irrelevant websites without your consent. It usually gets into your PC through unsafe freeware download, spam email attachments, malicious links and pop-ups. AllDealsApp can be regarded as an adware program which can show you on the page with pop-ups containing various coupons that underlined keywords, pop-up ads or advertising banners, etc. In general, AllDealsApp gets into the target computer when you download some freeware or shareware from some unsafe websites, open some unknown spam emails/email attachment and visit some unsafe or even malicious websites. How Can You Remove NewNPlugin.com Step by Step? What is NewNPlugin.com? Is it trusty? If you see pop-ups with message or advertisement from Thanksforthedownload.com, your computer may be infected with Thanksforthedownload.com adware. Thanksforthedownload.com is designed to help the cyber criminal to get revenue from pay per click. Thanksforthedownload.com gets into your computer when you read any mail attachments, junk mails goes through any malevolent websites, download freeware or shareware from contaminated web pages without any safety and etc. Do-not-ignore-this.email - How to remove it from computer? 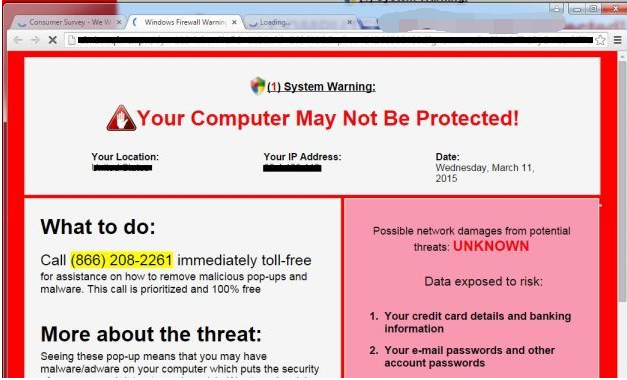 Do-not-ignore-this.email is classified as a type of adware which is created to promote fake technical support. It is able to constantly display pop-ups on the common web browsers including Google Chrome, Mozilla Firefox, and Internet Explorer, which aims to trick you to call the hotline 1-855-401-1511 to download and install potentially unwanted programs or even malware. You should never call them, otherwise, you may lost your money and bring lots of problems to your computer. How to Get Rid of Spiltstr.com Quickly and Completely? What is Spiltstr.com? Is it trusty? Spiltstr.com is considered as an adware that always show up the web pages with the fake message "Your Flash Plugin version is too low, causing the current sites and related softwares can not be opened properly, please update your Flash Plugin now". From the fake message, it want to cheat you to click to download or update. You cannot trust it, otherwise, you may encounter a lot of problems. ActiveDiscount can be considered as an adware which usually adds itself as browser extension to your browsers including Internet Explorer, Google Chrome, and Mozilla Firefox. It looks like a useful tool that claims to enhance your online shopping experience. In fact, it is not so useful but generate lots of unwanted advertisements and may also put the affected system at further risks. Need Help to Remove TrendyDealsNMore? - Remove Ads by TrendyDealsNMore Step by Step? If you see the advertisements underlined by "Ads by TrendyDealsNMore" whenever you open your Internet Explorer, Google chrome or Mozilla Firefox, it is likely that your computer is infected with TrendyDealsNMore adware. It usually adds to your browsers in the form of browser extension, which claims to enhance your online experience. It may sound like a good choice, However, it can generate lots of intrusive ads in the form of deals, coupons, pop-ups, banners, etc. That would be really annoyed. Remove Mediaupdate22.com Step by Step From PC - How? Exploit:Java/Anogre.E is classified as a Trojan horse which is able to come into your computer when you visit unsafe websites or download freeware from unfamiliar source. Besides, it also usually sneak into your PC by taking advantage of your system vulnerability. It can attack all the common browsers including Internet Explorer, Google Chrome and Mozilla Firefox. And it will inject its malicious files, codes and processes to change the targeted system setting including registry entries, system files and start up items. You must be careful. TrojanDownloader:JS/Nemucod.L is classified as a Trojan infection that can sneak into your computer without any permission and authorization. In general, it is capable to make use of Internet vulnerabilities such as spam email attachment, malicious website and fake update program to get into your PC. Once your PC is infected with this virus, computer will go into mess and become running slow greatly. Once infected, TrojanDownloader:JS/Nemucod.L is able to mess up the target system via deleting and altering the critical system files and make the target system unable to work normally. Besides, it can open a backdoor for other virus coming, which may cause further damages. Also, it can disable your firewall and antivirus so as to escape the blocking and detecting. Therefore, you must remove it immediately from your computer once detected. Smithvirusalert.com is a suspicious web page which can suddenly pop up on your screen and alert you with the massage about " WARNING! YOUR COMPUTER MAY BE INFECTED". And then trick you to call the provided number to get help to fix your computer. You may be worried about the issue due to its red color and bold words. However, it is a type of adware which can mislead you to malicious websites once you trust it and call the hotline. Remove Usa-aa.s3-website-us-east-1.amazonaws.com Completely and Quickly? Labels: remove Usa-aa.s3-website-us-east-1.amazonaws.com; get rid of browser hijacker; delete redirect. Tremendous Sale is ad-supported program which can be considered as a potentially unwanted program. It is able to sneak into the targeted computer and take control of all the common web browsers by popping up lots of unstoppable ads. It usually disguises itself as an innocuous extension on user's computer. However, it can do harmful things to your PC. Pcchecker.how2safeupdate.org is considered as an adware which can add itself to your computer as a Browser Helper Object, an add-on, a plugin and a browser extension. Pcchecker.how2safeupdate.org is used to promote Potentially Unwanted Programs by developer. It is able to change the setting of browsers such as Mozilla Firefox, Google Chrome, and Internet explorer. And you will often be redirected to some unknown websites which may contain other malware or viruses. What is Price Clip? Is it safe? Price Clip is known as a type of adware which is able to sneak into your computer without any permission. It usually displays lots of commercial ads containing various coupons on the page that you visit. It can be very annoyed and interrupt your online activities. It can attack many web browsers such as Mozilla Firefox, Google Chrome, and Internet Explorer and so on. And it often gets into your computer when you download and install some freeware or shareware. Besides, when you visit some suspicious websites, your PC may be infected. In addition, if you click some malicious links or open some spam emails or email attachments, Price Clip may get the chance to access your computer. How Can You Remove Checked List Ads Completely and Quickly? Checked List is known as a nasty adware which usually infect your browsers including Internet Explorer, Google Chrome and Mozilla Firefox as extension and add-on. And numerous annoying ads will keep popping up on your page. It usually shows you in the form of "Ads by Checked List", "Powered by Checked List ", "Brought by Checked List". You need to be careful when you notice this kind of ads. Get Rid of SalesPrize From Your PC Absolutely? - How? SalesPrize is classified as an adware program which usually is designed to displays lot of unstoppable ads on your computer with the "ad by salesprize" caption. In general, it gets into the target computer when you download some freeware or shareware from some unsafe websites, open some unknown spam emails/email attachment and visit some unsafe or even malicious websites. So when you need to be careful with your online activities. Have you ever encountered the similar problems? Every time you start your browser, websearch.goodforsearch.info pops up instead of your default homepage. When you search something on it, you are redirected to some false websites. You will find your search results are compromised and loaded with spam and third-party advertising. Shopymate is an ads-supported application which can be considered as adware. It is capable to display numerous ads which may contain links to sponsored websites. Also, these ads will show offers for products at exclusive prices, and claims to help you save money when you purchase goods online. However, you should keep in mind that Shopymate aims to redirect users to sponsored pages and collect traffic and increase their page ranking in search results. It is not so good and helpful as it states, but expose your system to certain threats. How to Get Rid of Safe Samurai Thoroughly From Your PC? Safe Samurai can be regarded as an adware program which is designed to earn pay-per-click ads revenue so it will generate tons of advertisements. It claims to protect your computer from being infected with virus. However, it can disguises itself as a legitimate browser add-on affect all the common browsers including Internet Explorer, Google Chrome. and Mozilla Firefox and constantly pop up ads or coupons. You should note that it gets into the target computer when you download some freeware or shareware from some unsafe websites, open some unknown spam emails/email attachment and visit some unsafe or even malicious websites. QuickUpdateApp.be Keep Popping Up? - How to Remove QuickUpdateApp.be Pop-ups From PC? QuickUpdateApp.be pop-ups will appear on your browsers when your computer infected with an adware. 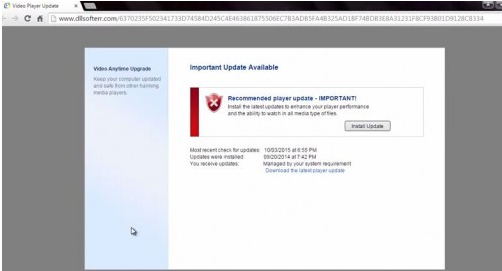 It often show you the massage about a Flash Player update, a Browser Update or redirect you to a telephone deceptive support-scam to fix your computer. It can affect all common browsers such as Internet Explorer, Firefox and Google Chrome and display a number of pop-ups that can disturb your online activities. And it often enter into your computer bundled with all kinds of freeware that you download from some unsafe websites. So you should be more careful with your online activities. Labels: remove QuickUpdateApp.be; get rid of adware; stop pop-ups. Delete Mysystembuddy.com From Your PC - How to Stop Mysystembuddy.com fake alert? "As i am visiting the websites i like, a popping up message displayed on my screen, it threatens me that my computer is infected by a virus, and if i want to get rid of it , i have to call the phone number to remove it...."
If so, your computer is probably infected with Mysystembuddy.com. Mysystembuddy.com is a deceptive website which will show you the fake alert to scare the computer users that their computer have adware / spyware virus and they must call the number it provided to remove the virus. Most users may trust it and pay money to buy the service. Unfortunately, they cannot get any assistance but allow other malware or virus to their computers. If you trust it and call the number, what you will loss is not only money but also put your privacy at high risk due to it can steal your important and sensitive information stored on your computer. Thus, you should never keep it on your computer. 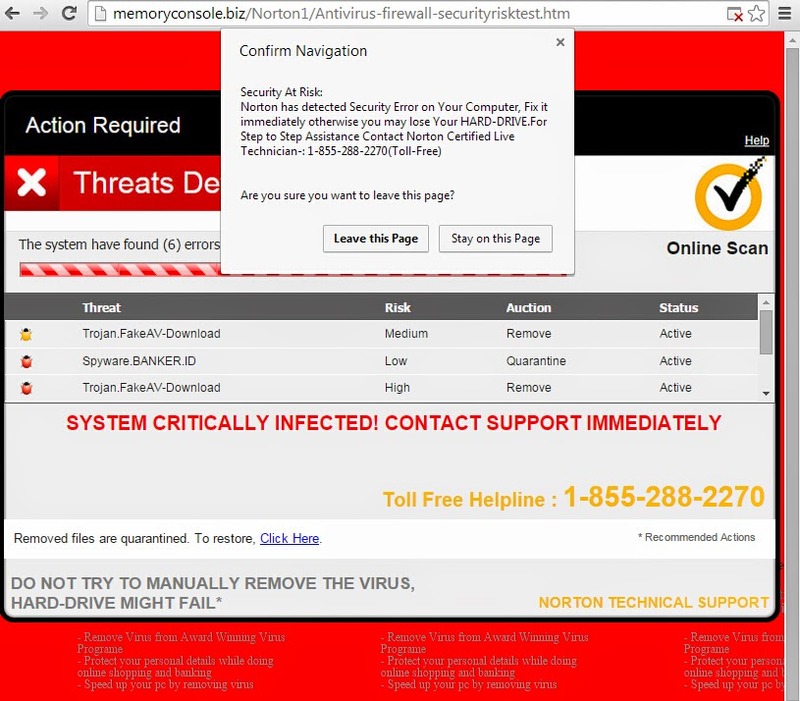 Warning-alert.com is a suspicious website which usually delivers fake system virus warning saying “Your Computer May Have A Virus!” to trick them into calling their phone number for assistance. You can not trust it because this scam website is created by cyber criminals to collect illegal money by scaring victims with fake security alerts so that the victims will call their phone numbers. Ads by Name is categorized as an adware program which can sneak into the targeted computer and displays all sorts of pop-up ads related to your web browsing habits on the website that you are visiting. General speaking, it is propagated through junk emails, malicious websites and free applications downloaded from the Internet. Therefore, you must be more careful with your online activities, and remove ads from Name once founded. Labels: remove Ads by Name; get rid of adware; stop pop-up ads. Labels: remove Searches.uninstallmaster.com; get rid of browser hijacker; stop redirect. Microsoft-security-center.org Infects Your Computer? - How to Remove Microsoft-security-center.org? Labels: remove Microsoft-security-center.org; remove adware; stop pop-ups. Memoryconsole.biz Step by Step Removal Instruction - How to Stop Memoryconsole.biz Pop-up Ads? Memoryconsole.biz often show you as a suspicious website which can constantly display pop-ups on your browser that you can not stop them. So it can be regarded as a type of adware. It is usually bundled with free applications and torrents. And it disguises itself as an useful program that can trick the users to download it. So you should pay more attention when you browsing online. Is your browser taken over by Flying Deals pop-up ads? Are you annoyed by pop-up ads by Flying Deals? Are you looking for effective ways to remove it from your computer? If so, your computer may be infected with Flying Deals. If you want to get rid of it completely, please keep reading the post below. Flying Deals can be classified as a type of adware which is capable to display underlined advertisements on the web pages that you visit. These pop-up ads often show you in the form of boxes filled with coupons, pop-ups, sound or video advertisements and similar content. General speaking, Flying Deals gets into the targeted computer bundled with free applications which you download from unsafe websites. You should pay more attention whenever you download application. Labels: remove Flying Deals; get rid of adware; stop pop-up ads. Have you ever see random pop-ups from Winnersurvey.net on your common browsers including Internet Explorer, Firefox and Google Chrome? If so, your computer may be infected with Winnersurvey.net. Winnersurvey.net is considered as an adware which is capable to access your computer without your permission. And it often come into the computer bundled with some freeware download. That why so many users do not know when and how can the Winnersurvey.net get into the computer. Mailboxgate.country is known as a type of adware which looks like a normal search engine and claims to give effective search results to you. You can not believe it because it aims to display commercial and sponsored links which is completely of no use or worth. It usually alters computer system security settings along with web browsers settings and attaches itself to the web browsers and use up crucial PC resources. It often gets into your computer along with the free application without your permission. That’s why most of the users couldn't dig out how this adware gets in their internet browsers. When you start to notice pop-ups from Infigo-cleaner.com? Many users don’t know when and how Infigo-cleaner.com gets installed on their computer until they start to encounter lots of problems from this program, and you can see some symptoms from Infigo-cleaner.com. Lots of pop-ups from Infigo-cleaner.com display on your browser that can interrupt your online activities. Labels: remove Infigo-cleaner.com; remove adware; stop pop-ups. Oz.clickflv.com is categorized as an adware which can affect all your browsers including Mozilla Firefox, Internet Explorer, Google Chrome and display a lot of pop-up ads on your browser. Oz.clickflv.com will not provide you any reliable search results but insert sponsored links and commercials ads. It usually show you the false warning message that keeps asking you to install the Adobe Flash Player to continue. However, you should not follow its steps. The executed file from Oz.clickflv.com can be the malware to compromise your computer. And it is able to redirect you to harmful domains or websites instantly after you launch your browser or open a new tab. So you should never keep it in your PC. Dllsofterr.com is a suspicious website which can be considered as a type of adware. It often pop up and warn you that the update is very important. If it gets into your computer, it is able to modify your web browser and trick you to update the fake video player. You should ignore it, because it may bring other unwanted programs even malware on your computer rather than the update. Websearch.searchoholic.info seems like a legitimate website promises that can provide users with reliable search services and multiple services to attract you to click it. However, it is classified as a browser hijacker which is capable to modify your browser homepage and default search engine to Websearch.searchoholic.info without your consent. If you search on the website, you will get irrelevant and undesired search results and even may keep redirecting you to malicious websites. What is Playerme.org? Is it safe? I have been redirected to Playerme.org page which asks me to update my Chrome or Firefox. No matter what web browser I open, my webpage always have been redirected to it. It looks like a real software update page, but I am not sure. Is it safe? How can I get rid of it? I just hope my browser responses. If you are also looking for the effective ways to remove Playerme.org from computer, please keep reading the post below and you will get a best removal guide. Upgradecheck12.checkerweb.com is categorized as a type of adware which can be compatible with most of the important internet browsers including Mozilla Firefox, Internet Explorer and Google Chrome and then display lots of pop-up ads on the web page you that you visit. It is designed to generate web traffic and gain money. If you see the pop-up ads from Upgradecheck12.checkerweb.com, please ignore them, otherwise, you may encounter lots of troubles.